Such a flattering skirt and I love the color. That pattern is now on my "to buy" list as I'd not yet seen it! I had to stop in and comment (wish I could wear wool, I live in Phoenix!). This skirt is so divine, and as a wardrobe take-off point, you could not do better! I'll love the vest more than the poncho even! Can't wait to see the coordinates! 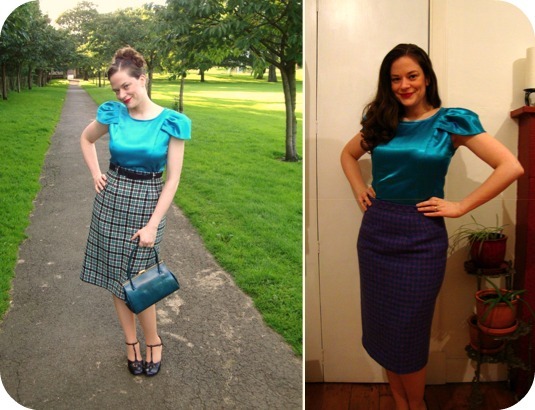 Love your style and your sewing! Gorgeous wool fabric! The poncho is nice, but a vest will be even better, and more useful. I like the way ponchos look when one is posing for a photo (and if there is no wind), but I don't like trying to actually live an active life while wearing one. Your photos make Scotland look like one of the most beautiful places in the world. It's so green, even in late fall. I just love your skirt! The fabric is great. And I am so with you on the "why do I make things that are not for the climate I live in?". Swedish west coast has been stormy as heck these past few days. Nice restyle - am sure you'll get more wear out fo the skirt than the poncho! Thanks for the link to the tutorial too, think that will come in useful. Just great Debi, always lovely patterns and fabrics. 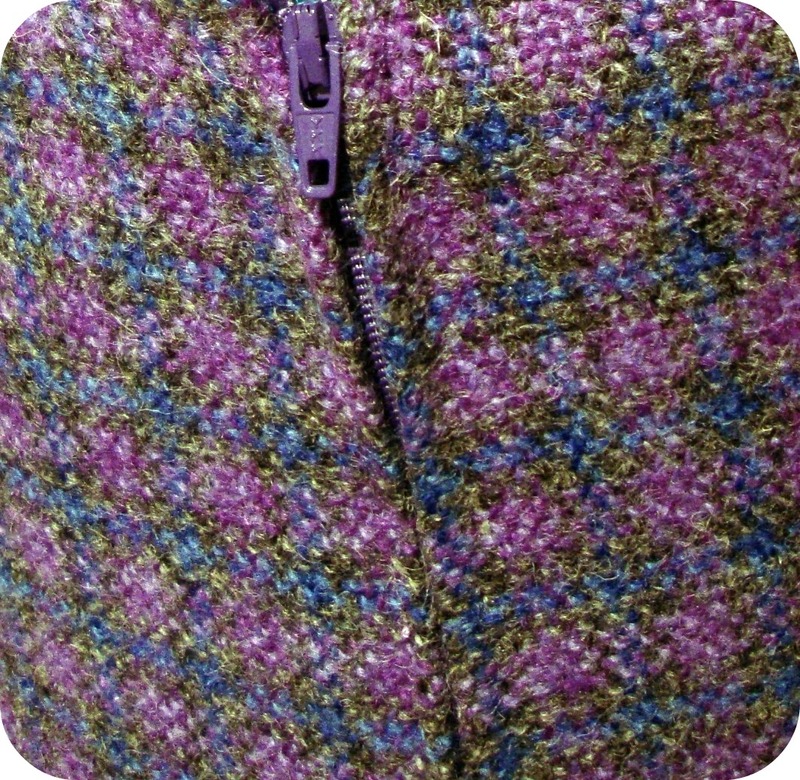 That's a very, very pretty tweed and a lovely restyle that just seems made to go with the blouse. 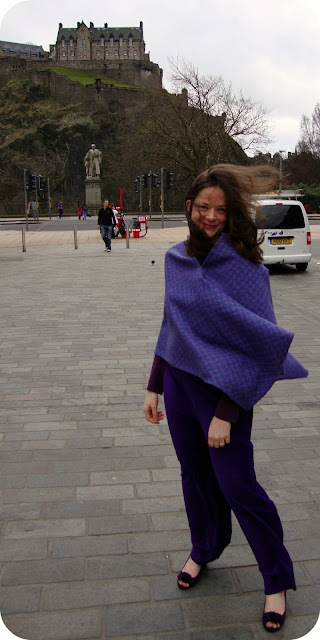 Haha, I once traveled with a long wool poncho in Scotland; I felt so glorious standing near the sea in St. Andrews with it whipping all over me. Not very practical of course, but oh, the drama! You are right about ponchos, they look fab but are in practise, a bit difficult here! Glad you were able to refashion! Gorgeous skirt! I have that pattern, but I had completely forgotten about it. Thanks for reminding me! 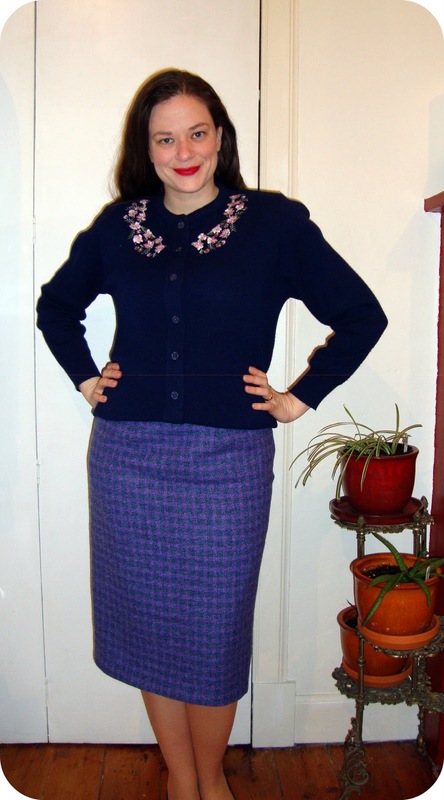 What pattern did you use for the blue plaid skirt? Just found your blog when you left a comment at Eva's Blog. Very nice, your two skirts. Is the first one a straight one or is it ever so slightly flared? Fantastic skirt! I love pencil skirts too. This fabric you've used is amazing! Your poncho will be reborn! 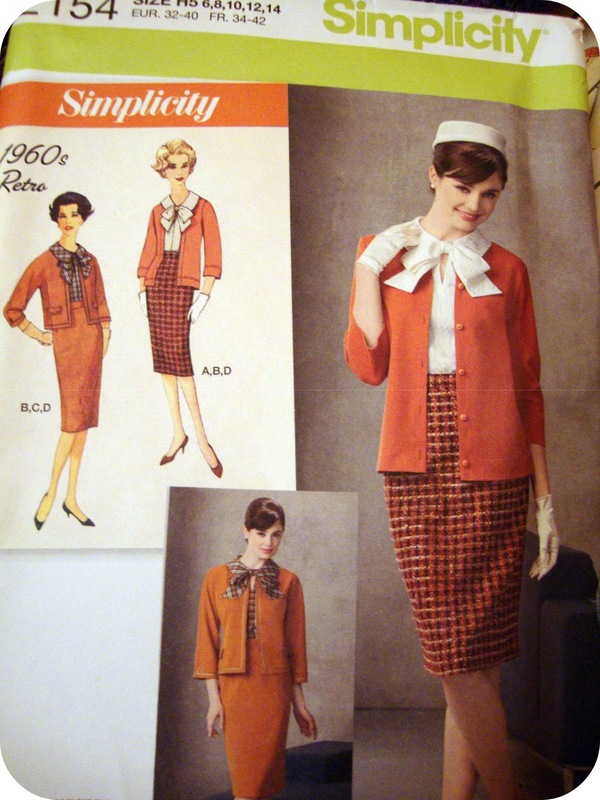 The pencil skirt looks great - the colours are amazing. I adore this skirt! You do such a lovely job, Debi. Very pretty skirt and while I love poncho's, I think a belted cape is more Scotland's speed. 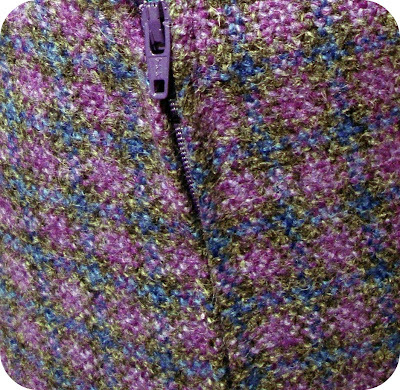 However, your x-poncho should make a lovely vest so all is well. Your outfits are fantastic in each of these shorts, so cozy for chillier months and perpetually stylish. So very true, one can never have enough pencil skirts, which is why I'm hoping to increase the count in my wardrobe next year (guess I've been too focused as of late on my beloved circle skirt). Many heartfelt thanks for your kind get well wishes today, they really mean a lot to me, sweet dear. Perfect skirt, Debi - you'll get a ton of wear out of this, I can tell! Love the color purple on you! Debi you look smashing in purple and your skirt is divine. I also wanted to pop in and congratulate you on your amazing sewing efforts this past year. 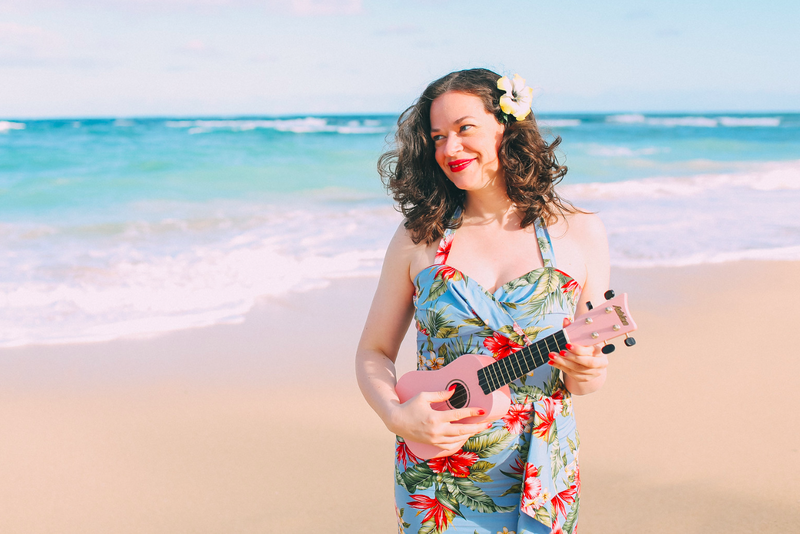 You have been very inspiring and extremely generous with your comments and support, I wished I had more internet time to hang out and play. Have a wonderful Christmas and a prosperous New Year. All the very best for 2012 xxoo Happy Sewing. Very nice! I love the new skirt and look forward to seeing the vest. Beautiful skirt. 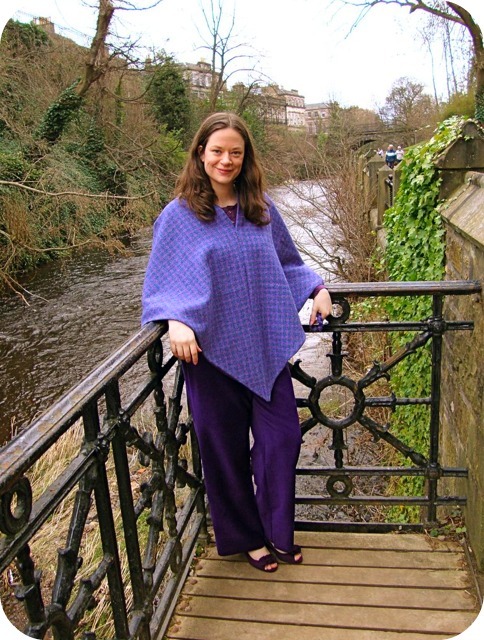 I'm so in love with tweedy wools, but I agree about the poncho. It will be great as a matching vest.